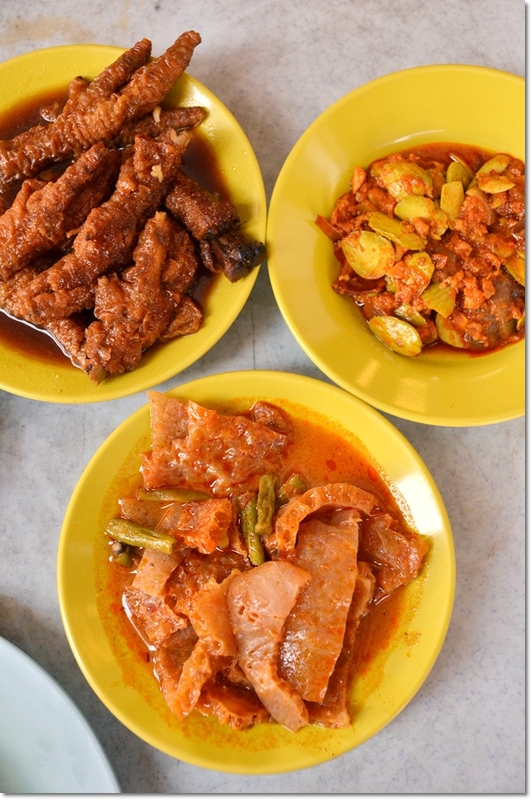 Clockwise from top left : Braised Chicken Feet, Sambal Petai with Dried Shrimps and Curry Pig’s Skin with Long Beans. Delicious side dishes to complement your plate of CCF or nasi lemak. The thought of savouring delicious nasi lemak (Chinese style) with curry wild boar and sambal petai, a piece of sinfully crispy and incredibly addictive fried chicken with curry leaves and downed with a cup of Ipoh white coffee in a traditional kopitiam setting (read my previous post on Ma Chai @ Wing Kat Fong which was also published in The Star back in May 2009) was endearing. I still vividly remember the mosaic-tiled floor, creaky ceiling fans and splash of natural sunshine through the wooden window panels. 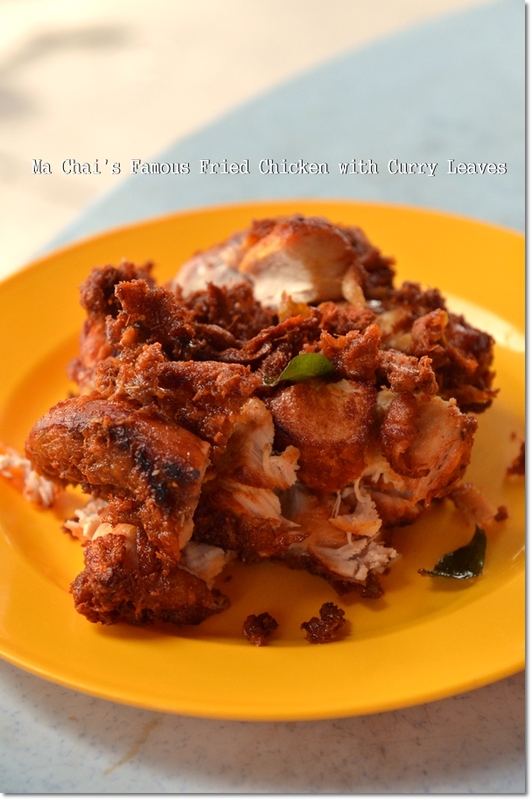 But Ma Chai has transformed. So much; that aside from the exact same location, you probably cannot tell that this shop has been around for decades! (Last I remember … they started in the 60’s or so!). The restaurant has been renamed to Ma Chai now; a positive trend towards effective branding, and spans beyond the one shop-lot premise that it was before. Taking over the back portion of the shop; the establishment can easily seat a crowd of beyond 50 now, and more airy compared to before. Price-wise, the adjustment has not been exactly unforgiving either; a meal for three came to slightly above RM27/USD9; including drinks and we definitely ordered more than we usually could have devoured. Clockwise from top left : Chee Cheong Fun (plain), Prawn Crackers (cucur udang), curry wild boar with potatoes and nasi lemak with sambal ikan bilis (anchovies) and a hard-boiled egg. 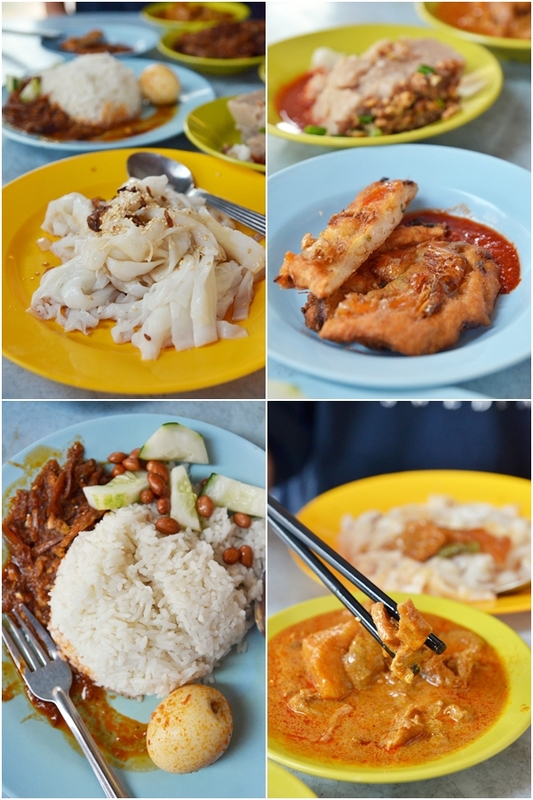 The sambal petai still tastes as good, and the curry dishes were excellent accompaniments to the plain chee cheong fun and nasi lemak. Nothing’s too fiery that might scorch your tongue (this is a Chinese coffee shop after all), yet don’t forget to order their famed fried chicken. How popular? There were people waiting by the wok (which was placed in front of the shop) to take away the crunchy delights. Heavily spiced, the ultra crunchy bits flavoured with curry leaves had me picking up the remnants instead of gunning for the flesh within. 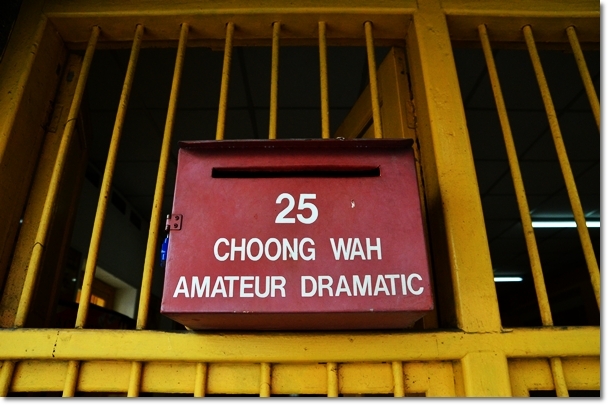 At Ma Chai, they practise self-service here. Walk up to the counter and order whatever you fancy. Like a ‘chap fan’/economy rice stall, then carry the food by yourself, or ask for assistance if you have definitely over-ordered beyond a tray’s worth. Don’t hold back, as I think almost everything here has been tried-and-tested, clicked with the locals’ tastebuds and able to fly off the shelves within half a day. Seriously. Then, to lessen the dripping guilt from within, I strolled for a while around town and captured various scenes of the locals going on with their daily business, vehicles stuck in gridlocks (beware as the roads around town are pretty tight and the traffic can be slightly hazardous if you don’t know where you’re going) and small eateries wondering why would this ‘tourist’ happily clicked away at dilapidated buildings, half-hearted attempt of a economy rice stall and even closed pawn shops and goldsmiths. Okay … time for my SECOND breakfast story. The stall has no name for decades now, yet commanding a very strong following thanks to its patented (?) tiny fish balls or what the locals call “yu dan zai”. 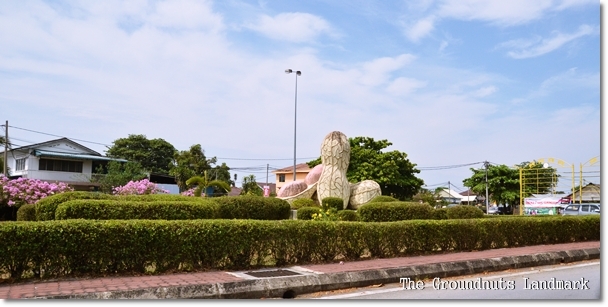 Backing out from Menglembu and towards Ipoh town centre, you will pass by the Falim’s industrial area; heavily-populated by factories, car showrooms, warehouses etc. An alley off the main road of Jalan Lahat will lead you to this fish ball noodle stall on Jalan Foo Wah Cheng; masquerading behind a dense foliage of trees. 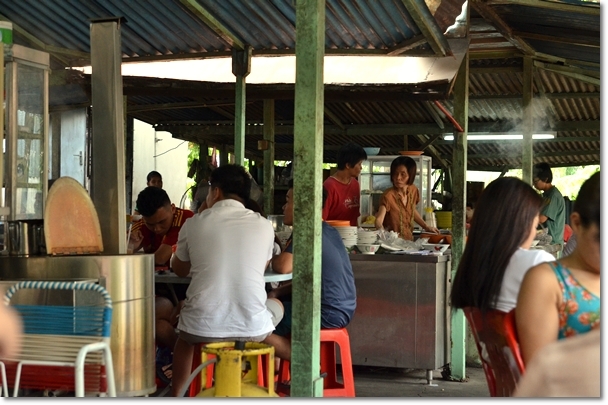 Quite hidden from clear view, this stall is a household name among the residents within the vicinity and even locals from further regions. My vague memories of this stall came from the times when our parents would send our car for fixing at Ipoh General Motors across the road; then brought us for a long breakfast here. The roasted pork (char siew) seated atop the noodles is a must-try, especially when dipped into their specially-concocted chili paste with a touch of lard and chili oil. 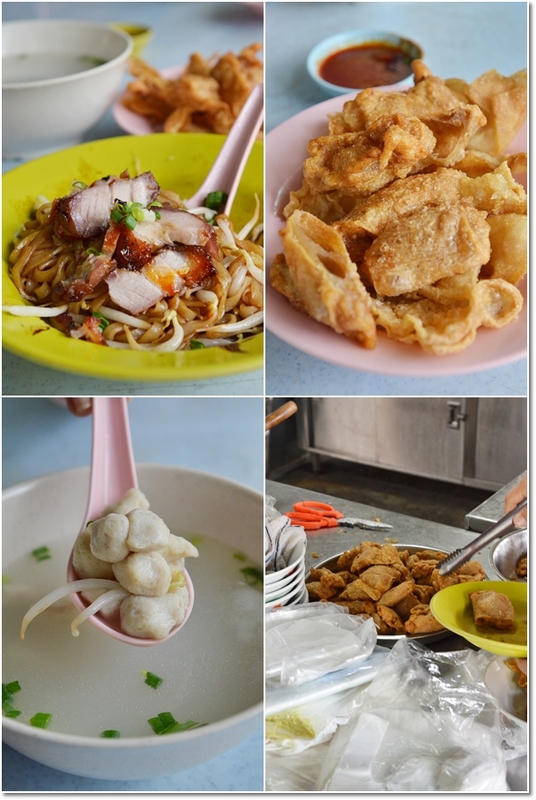 And see how you can fit 10 fish balls into one spoonful? Don’t be surprised if the person taking your order suggesting for 20-30 fish balls each (! ), when you’re most used to 5 pieces at most, usually. The bite-sized tiny fish balls (or maybe we should rename these to fish bits?) tasted as fresh and succulent as if they’re made on the spot (which I don’t doubt), while the other ‘yeong liew’ fared reasonably well, yet fell short of what one would expect from stellar names like Big Tree Foot etc. We shared a plate of dry kuey teow (flat rice noodles) with crunchy bean sprouts, evidently coated in a glistening layer of lard oil for flavour, 30 pieces of fish balls, and several fried items. The bill came to RM15/USD5 including three drinks. Reasonable, but not spectacularly cheap though given the setting and the size of the fish balls. The wait for the food took about 25 minutes with a dozen diners waiting prior to our orders. They don’t cook at breakneck speed, so don’t come expecting your noodles to be served within a minute or two on a busy morning. 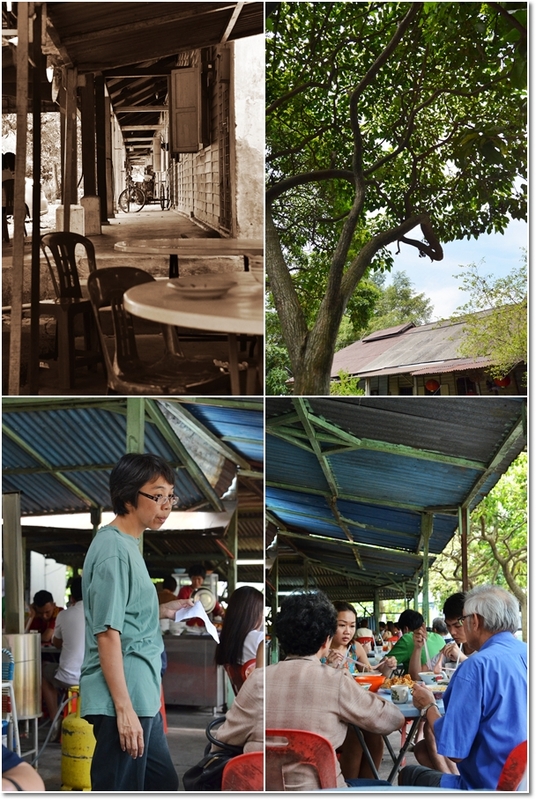 The Falim Yu Dan Zai noodle stall in stealth mode, amongst the lush landscape of greens. Coming on Jalan Lahat from Ipoh town/ACS’s direction, you will pass by Perodua service centre on your RIGHT, the previous K-Kai Corner steamboat/BBQ on your left (now torn down and moved to Ipoh Garden East), then a traffic lights where you will turn RIGHT if you want to reach Lumut highway. However, to reach the Yu Dan Zai stall, you go straight from the traffic lights (yes, although the road seems blocked) and look for a turning to the RIGHT after Kia Motors on your LEFT. 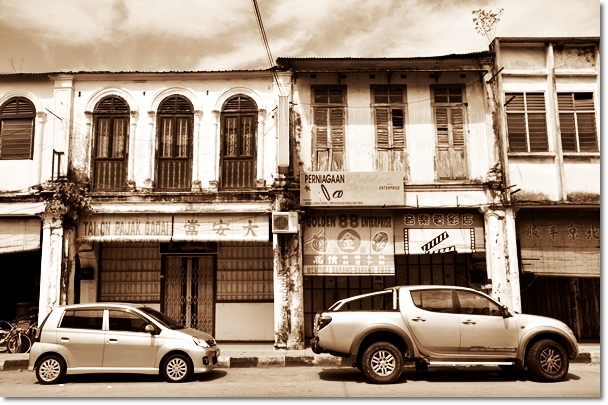 The alley named Jalan Foo Wah Cheng is directly opposite of a furniture warehouse. Opens everyday, closes for 2 days every month, not fixed. 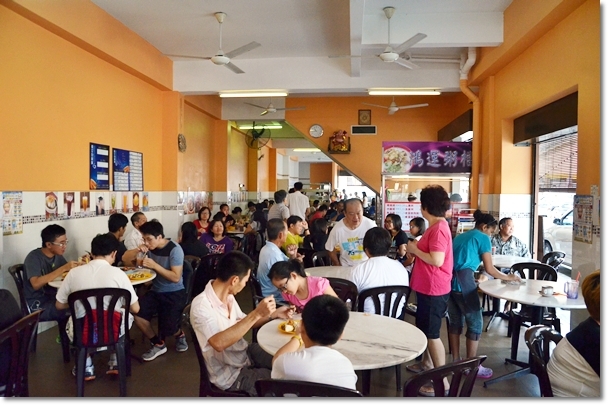 Oh the Ma Chai kopitiam certainly looks very diffrerent now. I haven’t been back there for a couple of years now! Oh no! 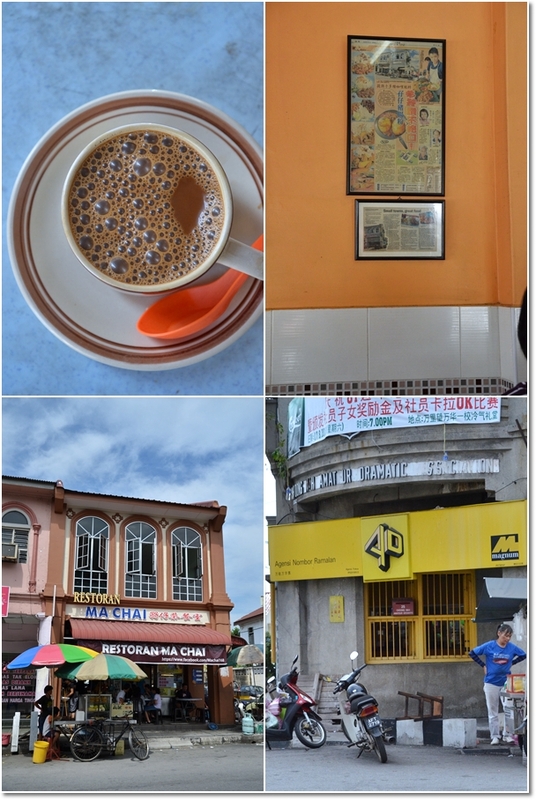 You blogged about yu dan zai, it will no longer be the best kept secret in Ipoh! Lol…. it’s one of my favourite breakfast place. The crowd is less now that the road to Menglembu is closed, used to have to wait for an hour on weekend mornings and 30 minutes on weekday mornings. You know this place is good when you see all these big luxurious cars parking by the roadside and all the uncles waiting patiently for their food. Hi QiQi, whoops. Guess I let the cat out of the bag? But in all honesty, this place does not need any additional promotion/advertisement. The crowd is healthy, and the wait borders on extreme already … on weekends. 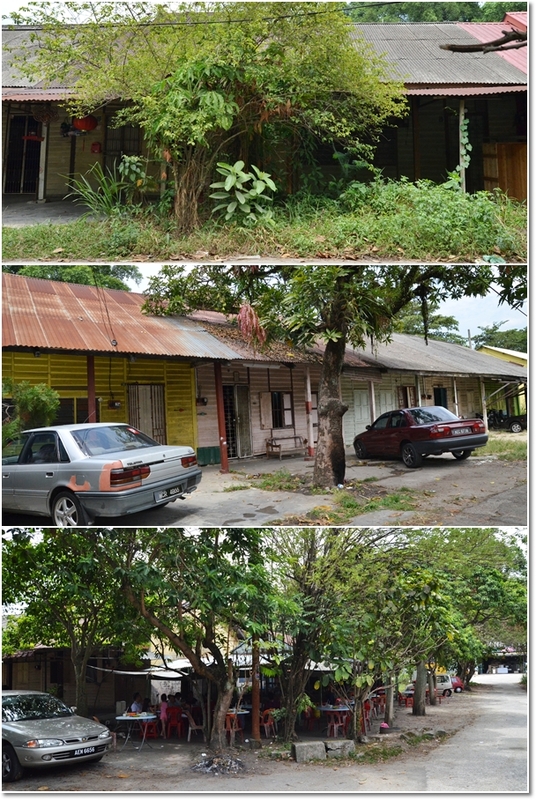 and years down the line, I would like to think that I contributed to preserve this small fragment of IPOH that we all love. Ma Chai has, unfortunately, ceased business. 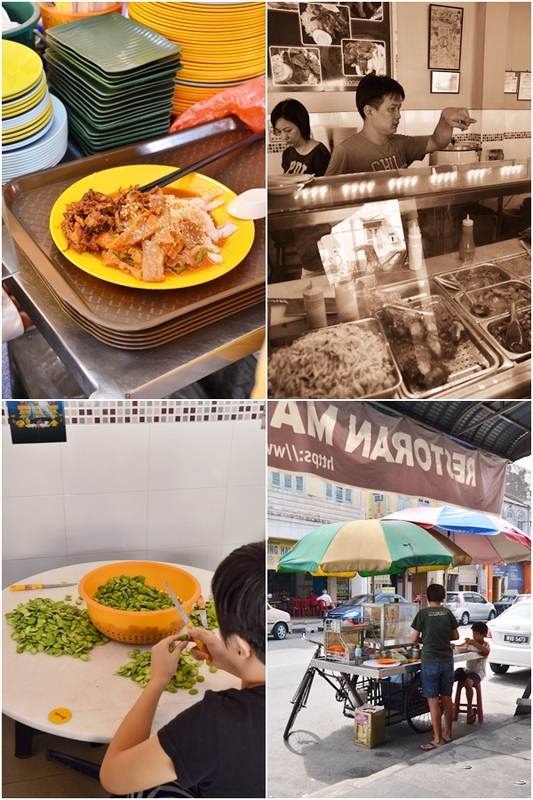 I am sorely missing their chee cheong fun with sambal petai and their “hum jin peng” (which is my all-time fav). I haven’t been able to find any place that sells “hum jin peng” that is seasoned with five spice powder as generous as Ma Chai did.